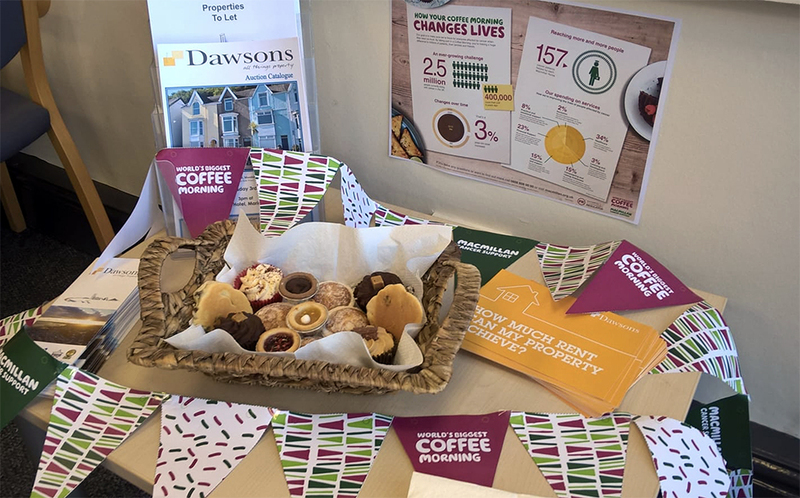 We pride ourselves in not just having local offices, but our staff within those branches being part of the community in which they are placed. 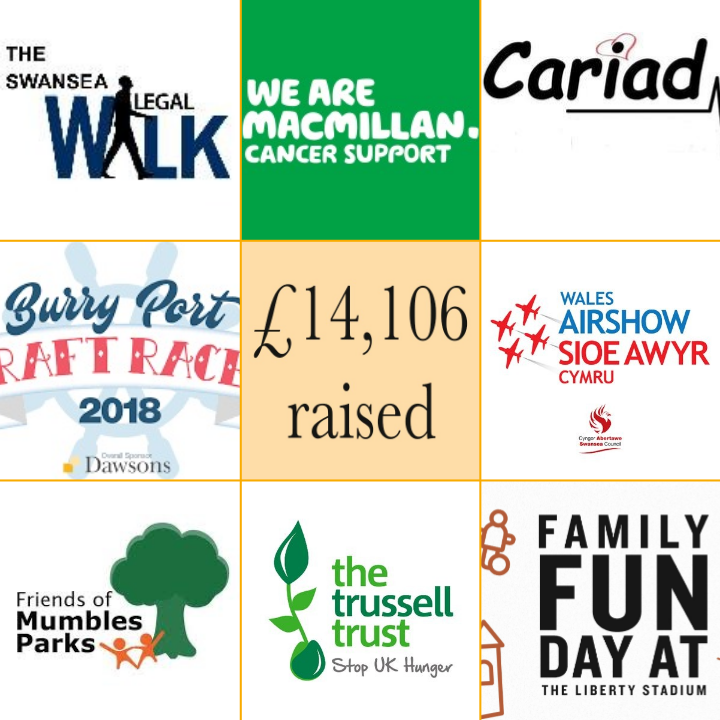 As a company, we support many different charities, both local and national, local schools, social and sports clubs, as well as local businesses and events. 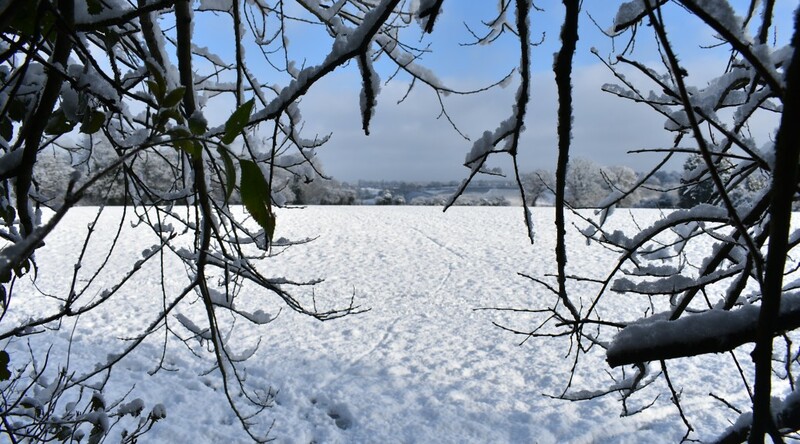 Our community contributions in 2018 were by far one of our busiest years to date. To name but a few, we were involved in: sponsoring the Wales Airshow, Burry Port raft race, DJM Charitable trust, Macmillan, Save the Children, Swansea City DSA, Mr X, Trussell Trust, Cariad defib, friends of Mumbles parks, alongside many local primary school fetes, local litter picks, and many more. 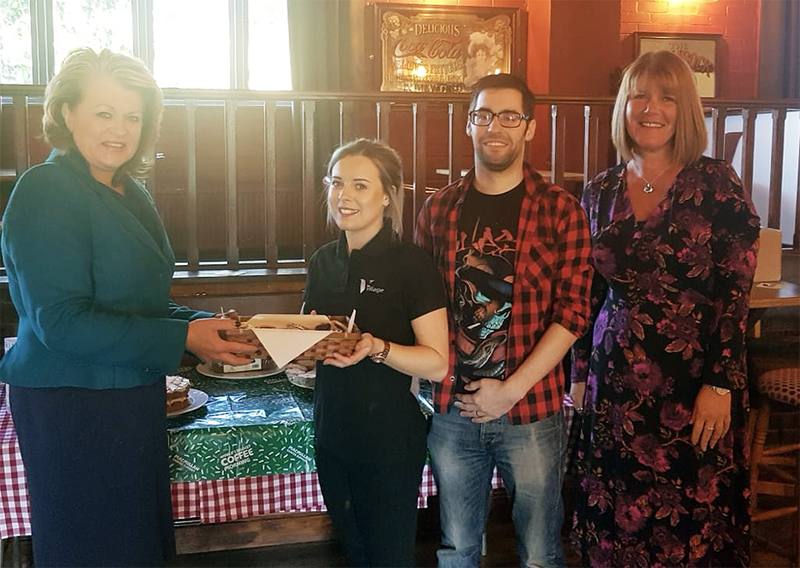 We proudly raised a grand total of £14,106.00 in 2018 alone, for which we are extremely thankful to all our staff who got involved. 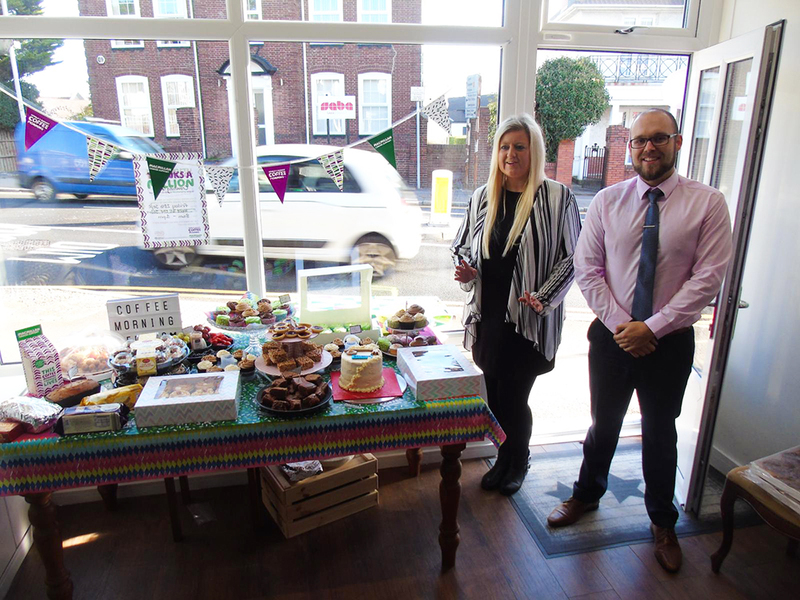 Whilst day to day we are an award-winning estate agent, we are also team Dawsons supporting in any which way we can. 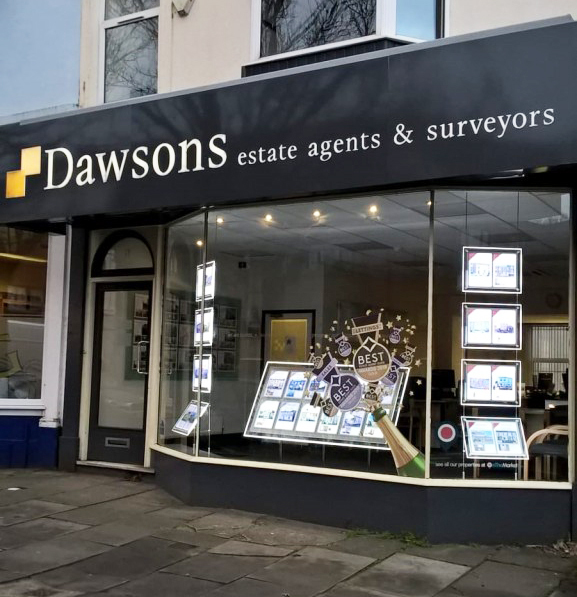 Dawsons placed in top 0.1% of agents in the UK after winning gold and silver. Our Sales & Lettings teams are celebrating their achievements after winning both gold and silver in the Estate Agents Awards (EA Masters) in October 2018 placing us within the top 0.1% of estate agents throughout the UK. Take a look as you drive by our local offices this month and see all our windows which are now splashed with awards and celebration. Declutter those cupboards and drawers, tidy up and remove excess items that might give the impression of cluttering. You may want to remove any large bits of furniture (such as a clunky wardrobe) in order to make a room look bigger. Check out our ‘declutter blog’ here. 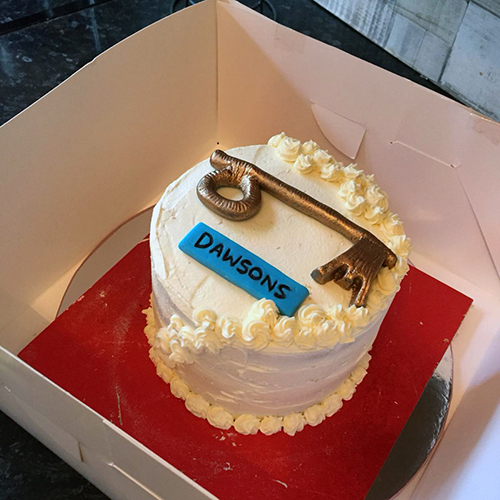 “2018 was an amazing year for Dawsons Auction Department! Selling 90% of everything that we took to the room. Proving that buying and selling via auction is the most secure method of sale, the national average of selling via private treaty is only 65%. A misconception is that auction properties are in disrepair or requires work, last year we found that its the vendors circumstances that determine whether a property is to be sold at auction not the finish of the property e.g. shorter timescales, security of sale, speed of sale and ability to sell with discretion in certain situations debt, separation, emigration, death. 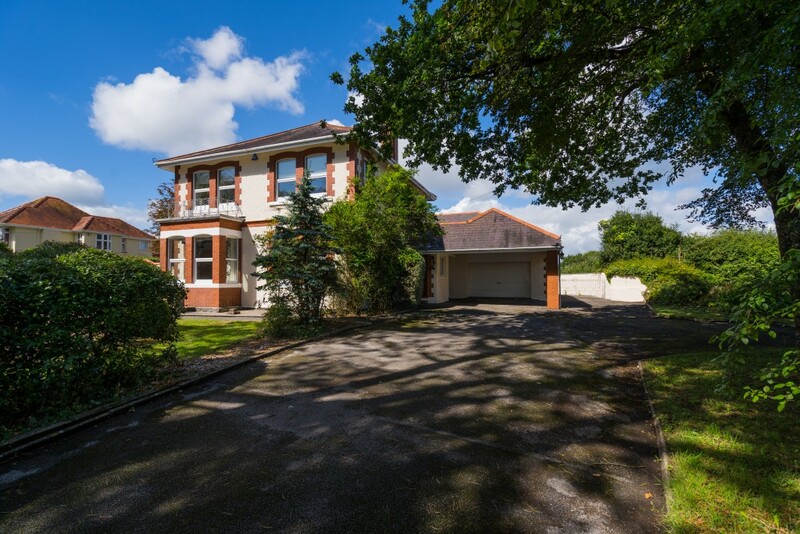 A prestigious & recognisable home which has marked the entrance to the village of Bishopston since 1905. With it’s prominent stature & handsome exterior, Ryelands is a striking and property. Offering an array of beautiful original features & magnificent size rooms made up of 5 receptions, 5 beds & 3 baths. 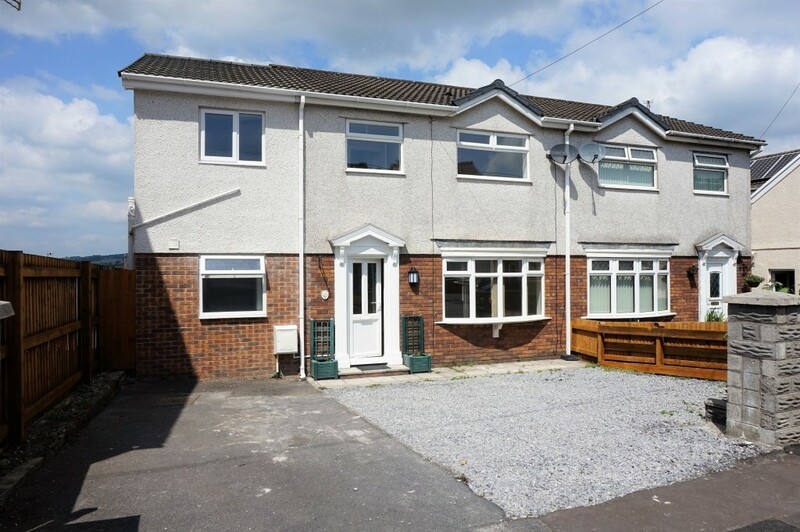 Fantastic size south facing gardens & ample parking. Would you like to work out for just 20 mins a week? Through efficient electrical muscle stimulation (EMS) training you can with Body Street. Dawsons would like to introduce our local branch of Body Street, visit their website for introductory offers. Are you considering a career in Estate or Letting Agency, Property Management or Surveying? Visit our careers page for all of the current vacancies. 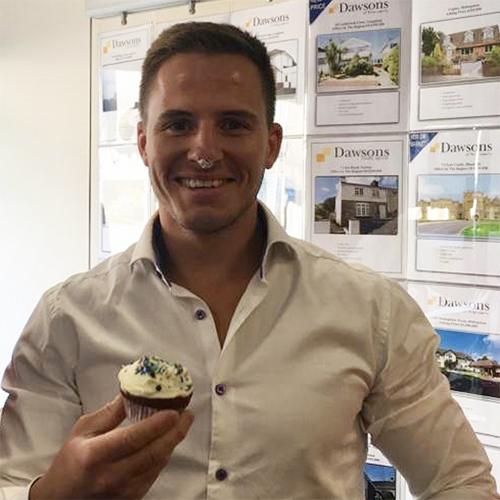 January has seen us celebrate Tom Hope’s 10th year anniversary within Dawsons. 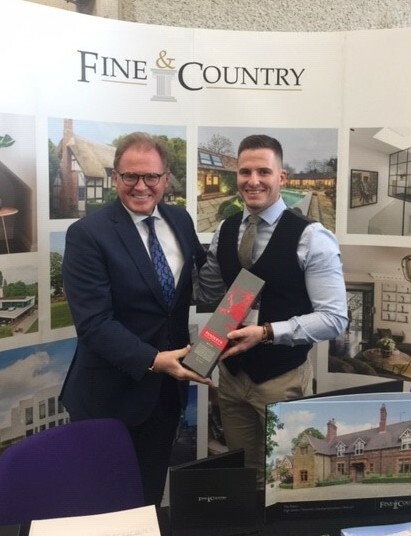 Tom is now based in our Fine & Country department in our Mumbles office, Congratulations from us all @ Team Dawsons, here’s to the next 10 years +. 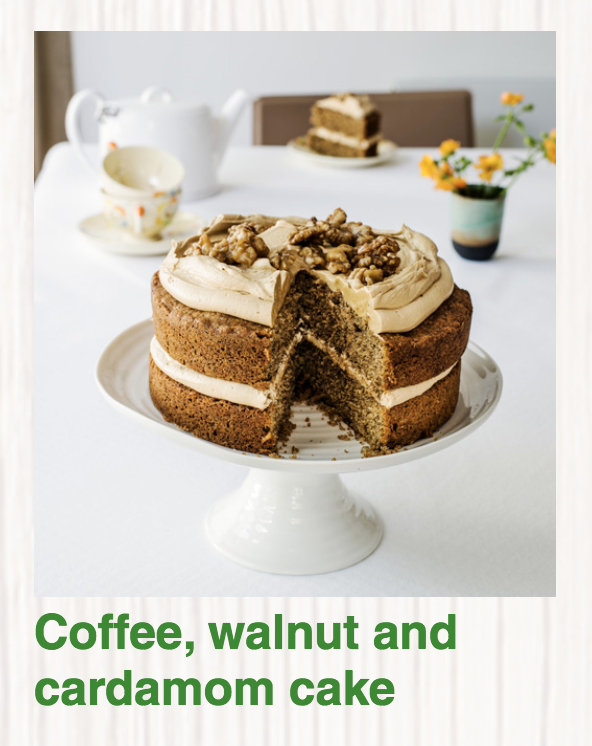 The World’s Biggest Coffee Morning takes place annually and this year the date was Friday 28th September. 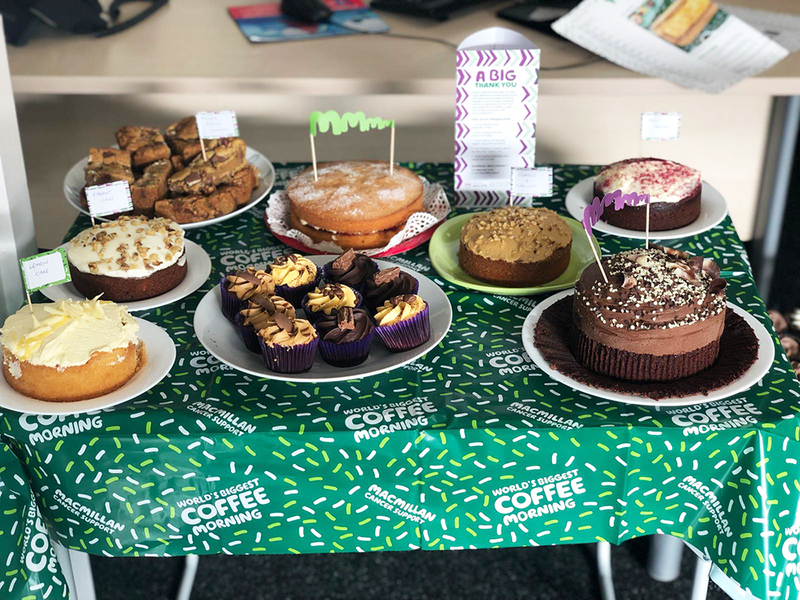 It is Macmillan’s biggest fundraising event for those who support cancer patients in the UK and people all over the Country are asked to host their own Coffee Mornings and donations on the day are made to Macmillan. Last year (2017) alone they raised over £27 million and I’m sure that this will be another successful year. 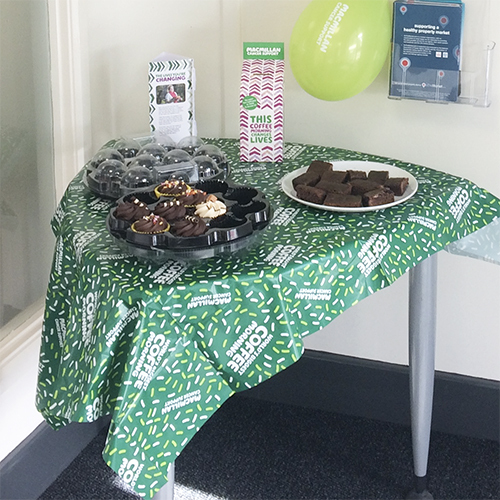 The first ever Macmillan Coffee Morning happened way back in 1990. 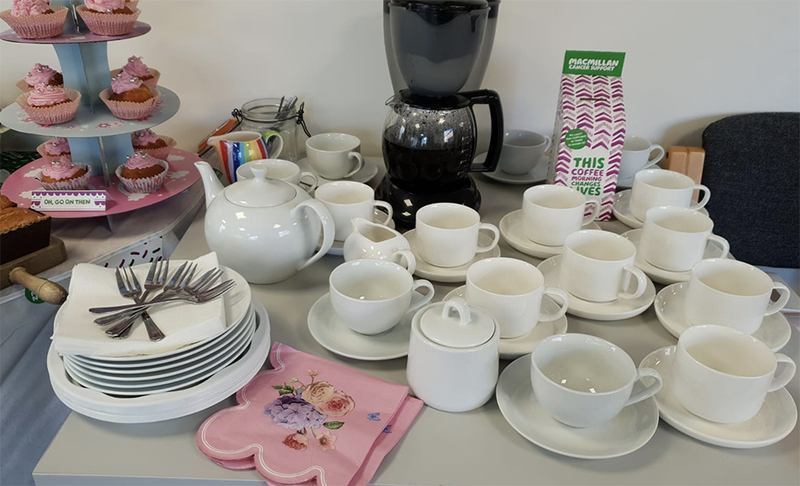 It was a rather a small affair with a simple idea: guests would gather together, drink coffee and donate the cost of their cuppa to Macmillan in the process. It was so effective, they did it again the next year – only this time nationally. 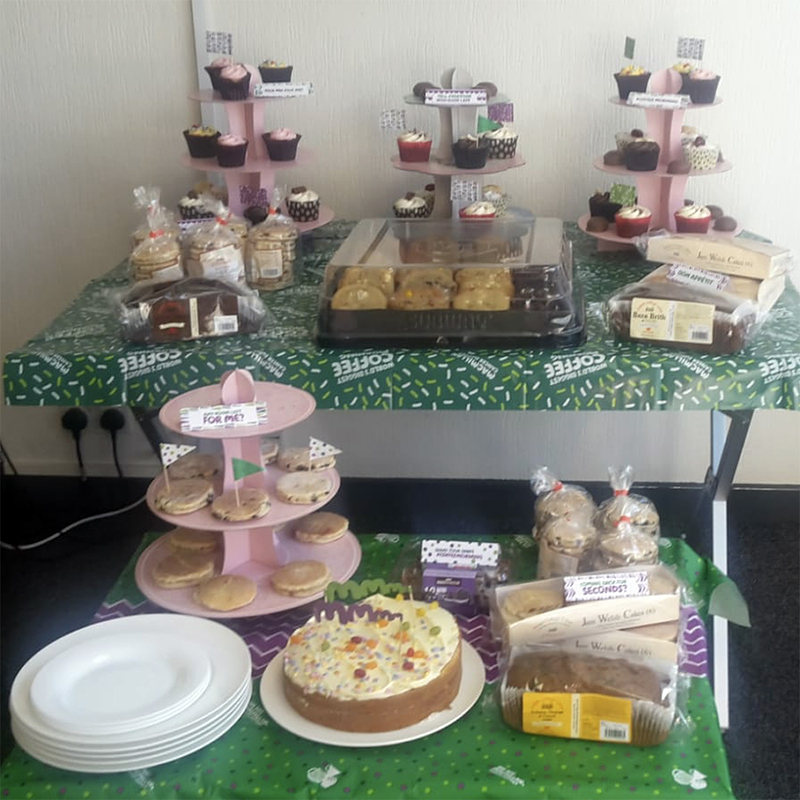 Since then, Coffee Morning has raised over £200 million for Macmillan, what an amazing achievement. 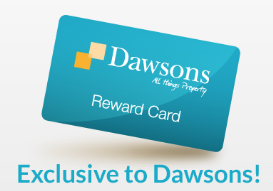 What does it mean to Dawsons? With 150 staff, we have so many people whose lives have been touched by cancer, and at the moment one team member is undergoing treatment, so it really does mean the world to us. Macmillan do an amazing job and they are truly special nurses and support teams who face a lot of heartache every day, but with positivity and smiles on their faces. 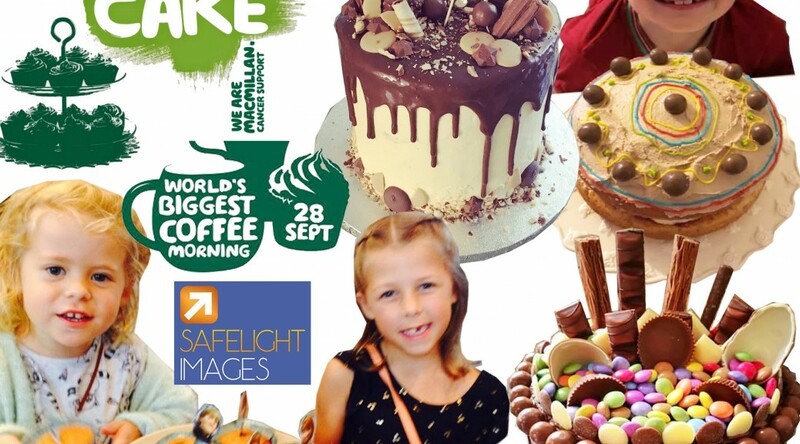 So this year we set out to make our Coffee Morning the biggest we have ever achieved, and we decided to run the event in conjunction with our “Cake Smash” competition sponsored by the amazing photography studio Safelight Images in Swansea. 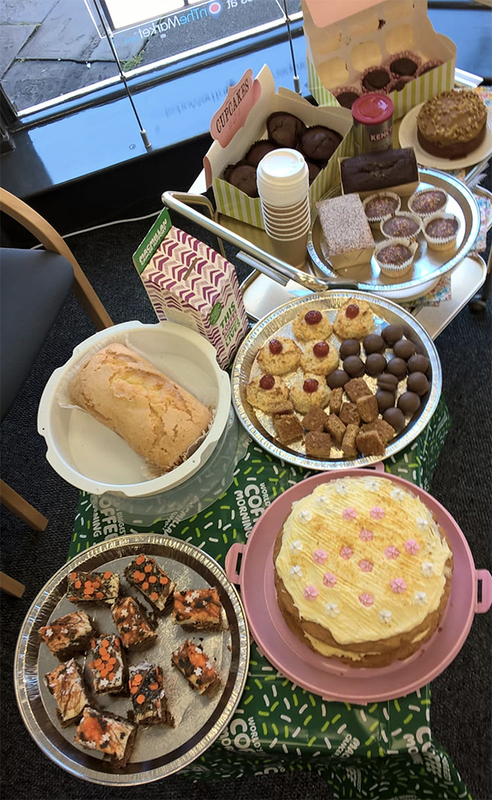 Marina office kicked off their morning at 9am with a veritable feast of baked goodies, and had their sales negotiator Laura Jayne Davies serenading the visitors with her amazing voice! 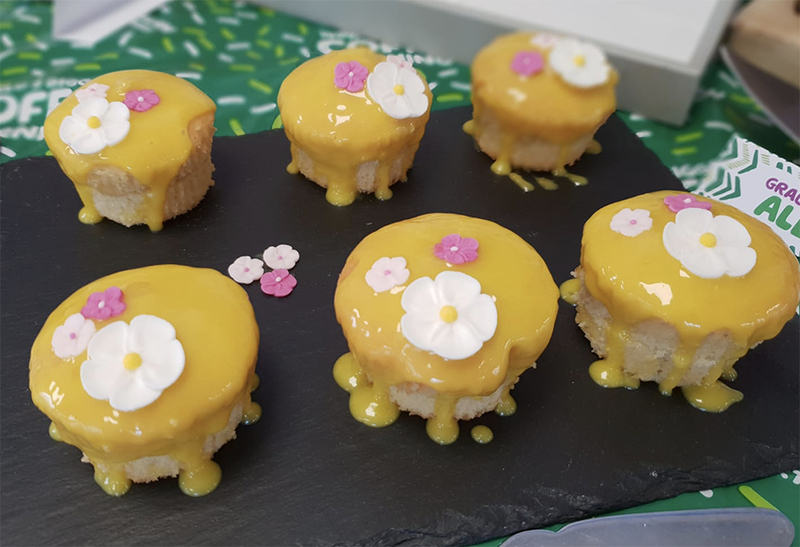 As you will see from all of the photos below, there were so many cakes made or donated, in all of the Dawsons offices, and visitors flocked in with their charity money, and were blown away with the efforts, look and taste of all these treats. Personally, I think we could consider a new type of estate agency with a tea and cake shop on the side. 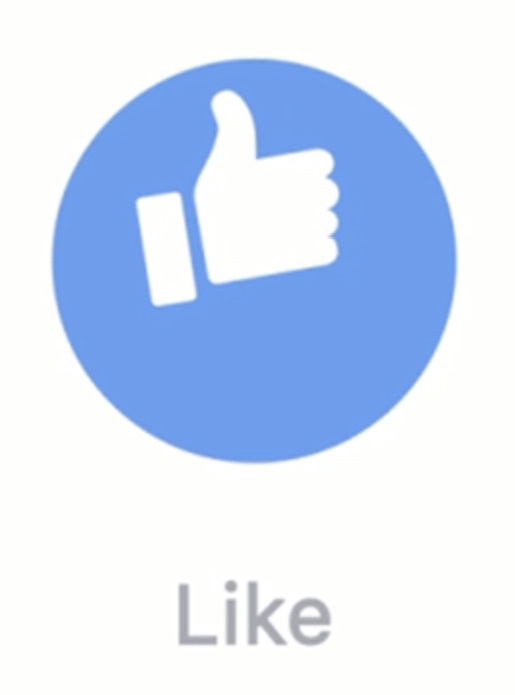 Now that would be a great idea, don’t you think? Although, after watching how the cakes disappeared so fast, I have a feeling the staff may worry a little about their waistlines if this was an everyday occurrence. 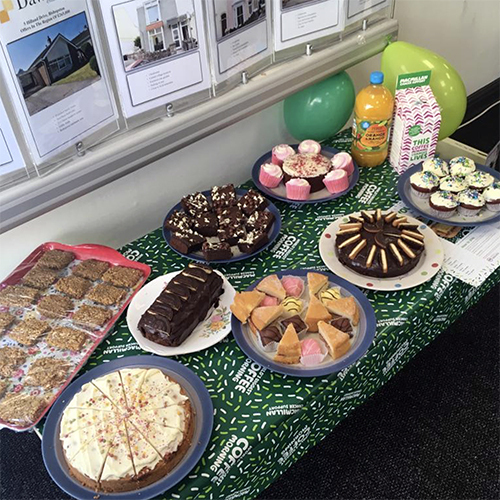 Whilst we are still tallying up the proceed for Macmillan, with a number of donations from local businesses yet to come, I have noted the running totals for some of the offices, under their branch names, so you can see it’s at least £700 so it really has been a worthwhile event, for our community networking and for Macmillan Cancer Support. It’s competition time and this one is for anyone who has a baby or toddler in the family or friends group. 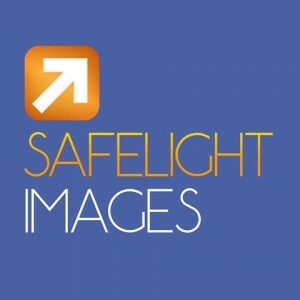 We are absolutely delighted to team up again with Safelight Images in Swansea, who are going to give our competition winner a FREE Cake Smash photo shoot (worth £150) – or voucher equivalent – for those who want to gift it as a birthday or (dare we say it) Christmas present. 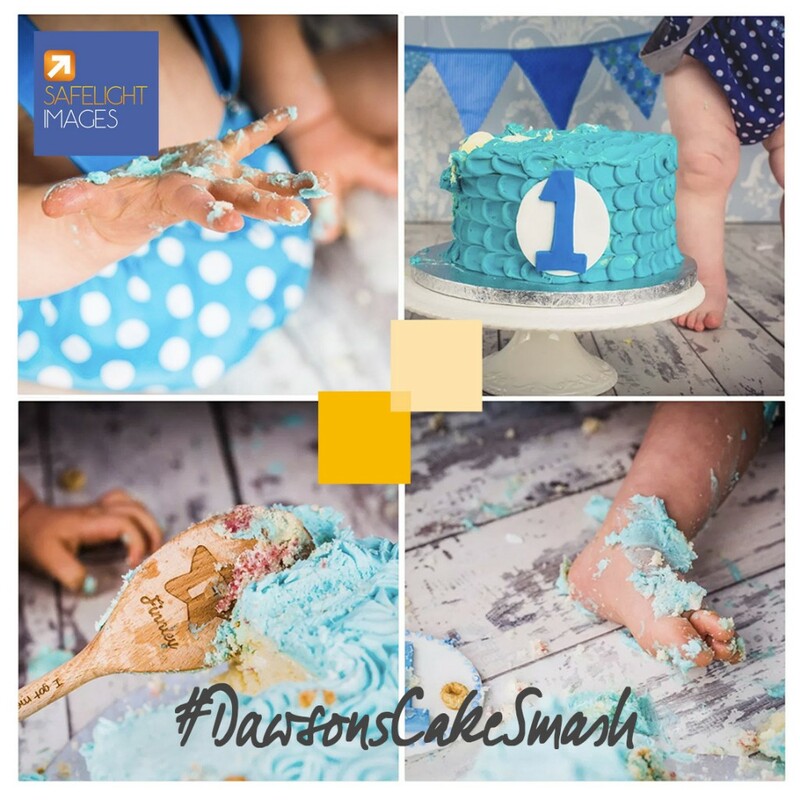 Cake Smash sessions are probably the most fun-filled events for any birthday girl or boy to part-take in. The best age for a cake smash shoot is usually a 1st or 2nd birthday. The little one will be sat in front of a birthday cake* for them to get messy with, eat and demolish – all in front of the camera! Do not worry, the team at Safelight have a lot of baby wipes on hand to clear up the mess. *If you wish for us to provide a cake for you, you will need to inform us when booking the photo shoot, but you are VERY welcome to bring your own. 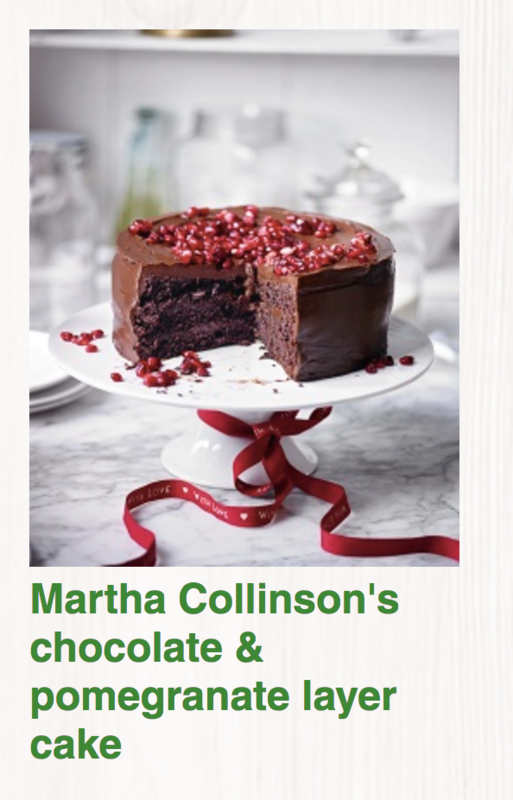 We’re sure in the spirit of this competition, you will be happy to bake a cake for such an event as this! What is included in the Cake Smash session? Safelight Images will provide you with the cake, balloons and bunting, an outfit and a 12×8 print of your favourite image from the shoot. 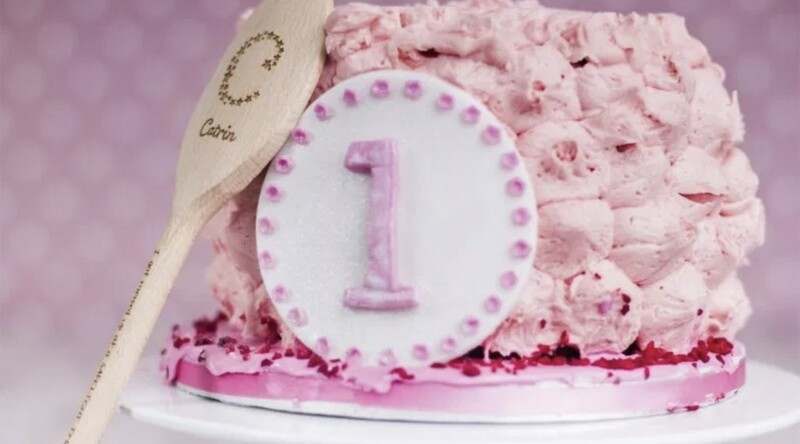 We will also present you with a keepsake wooden spoon engraved with your little ones name on, that you can take home with you as a memento of their cake smash. Any further prints that you would like to purchase will be at an additional cost that we can discuss together, in the studio. 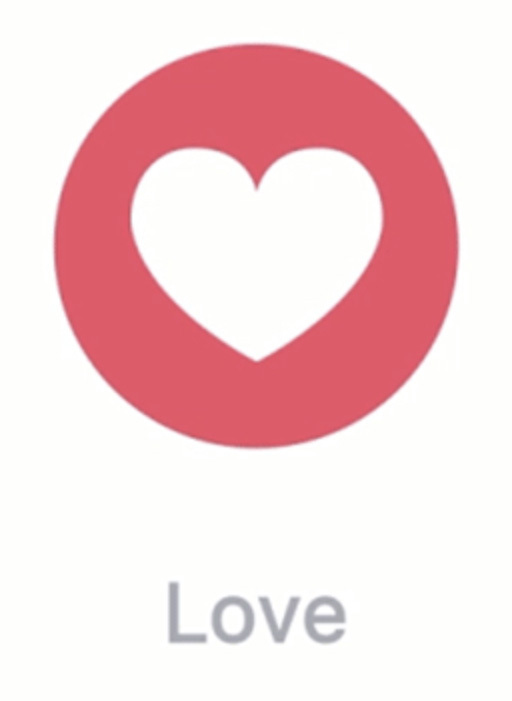 If anyone gets a laughing ‘ha ha’ we will count it as a LIKE…! FINALLY, for the astute amongst you. 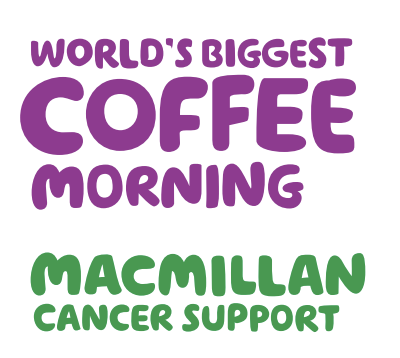 Yes on Friday 28/9/18 it is the Worlds Biggest MacMillan Coffee Morning. 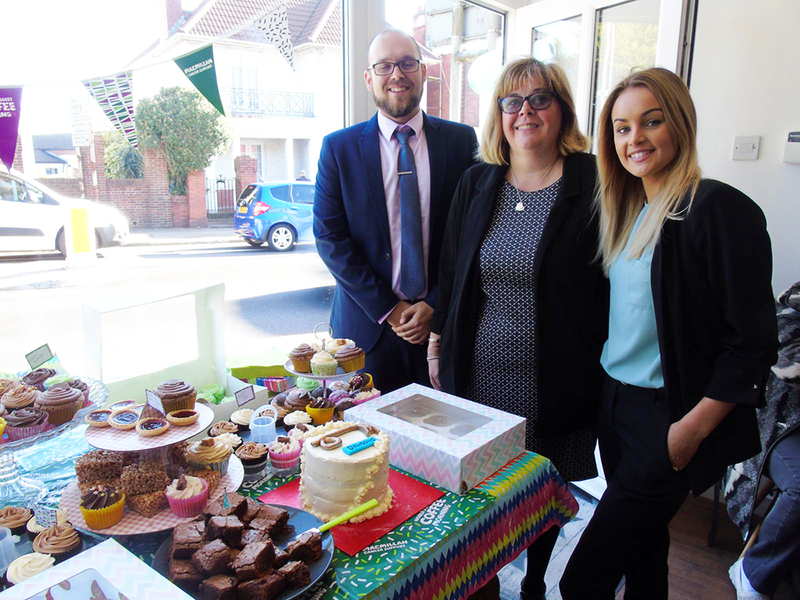 SO… If you are tempted to bake a cake and don’t really want to eat it yourself, or feel it would be better to go to a good cause… You can pop it into your local DAWSON’S office – they are all listed on the link below – where they will happily sell all cakes no matter what shape or size that has been donated, and ensure all proceeds from cake sales will be presented to the much-needed charity Macmillan. 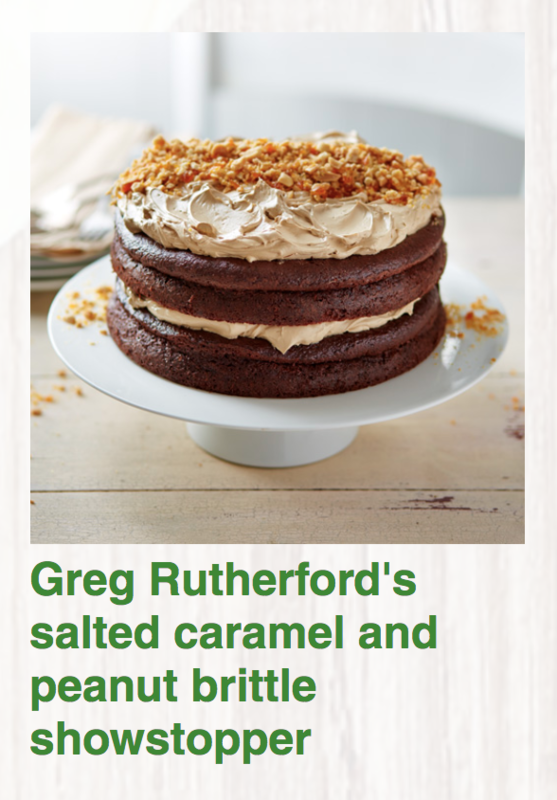 Of course, before we eat the delicious cakes on offer, we will take a photo and upload it to the competition for you. 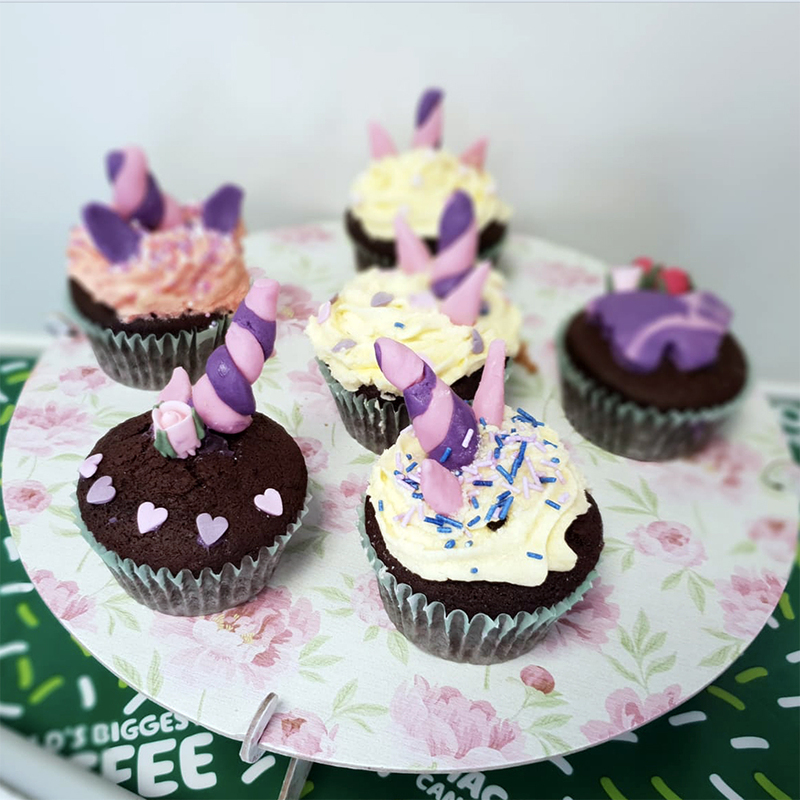 Please, therefore, if you are leaving cakes at our offices, put your name and contact details with the cake, so that we can get in touch if you WIN the PHOTO SHOOT. 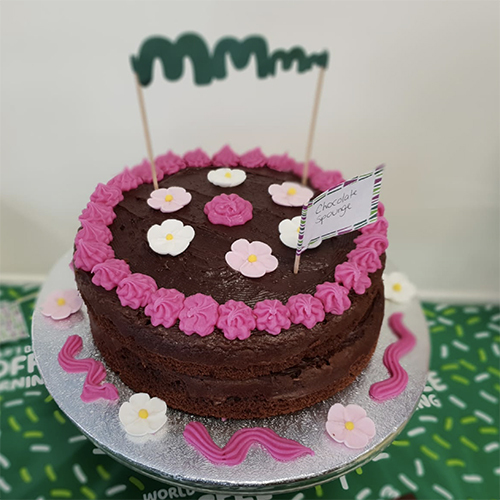 Before you switch the oven on and pick up your apron, here are some amazing Macmillan inspired recipes for you to try! Terms of Competition: Click here to read the small print prior to this competition. Thank you.